The Thunkable Library: How Does my Android Device Connect Over Wifi? A feature of Thunkable allows users to connect a device to a PC over wifi to test their apps. Below we explain in more detail how this process works. To use the Thunkable connection over wifi, a user must download the Thunkable App via the Google Play Store, aand install it on a phone or tablet. 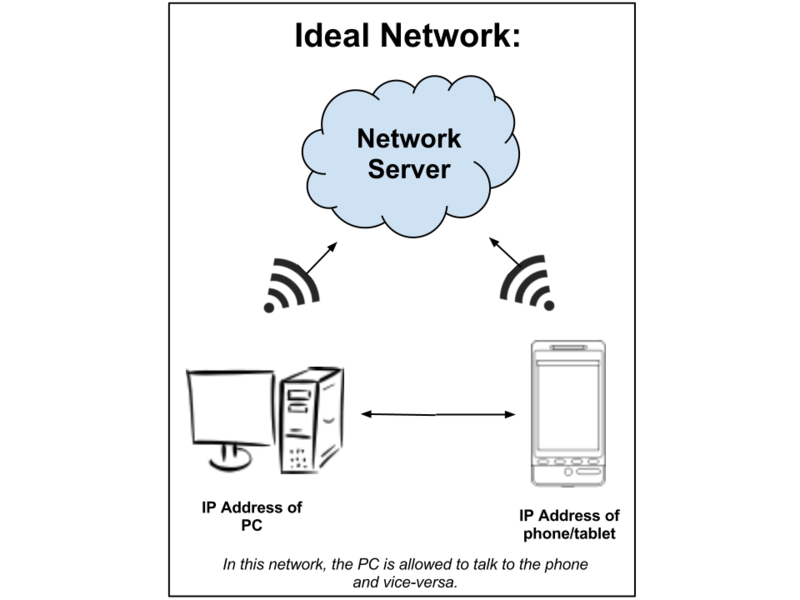 The Thunkable Live app allows a user to make a connection between the Android device and PC over the Thunkable RendezVous Server. The Android device must be using Wifi and not the cell network for Internet connectivity. 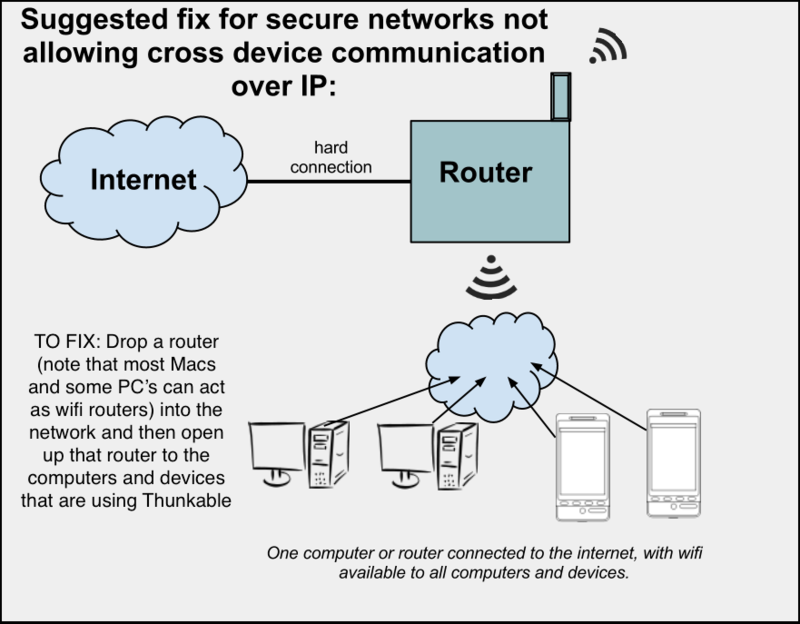 Try the following steps to troubleshoot your wireless connection. Try to reach http://rendezvous.thunkable.com:3000/ from your PC. It should return a blank white page. If it returns an error, that is an issue and you can write in to Thunkable support. Try to reach http://rendezvous.thunkable.com:3000/ from your Android device. It should return a blank white page. If it returns an error, that is an issue and you can write in to Thunkable support. If you do not pass step 4, your network most likely looks like this. Why is my phone still not connecting? 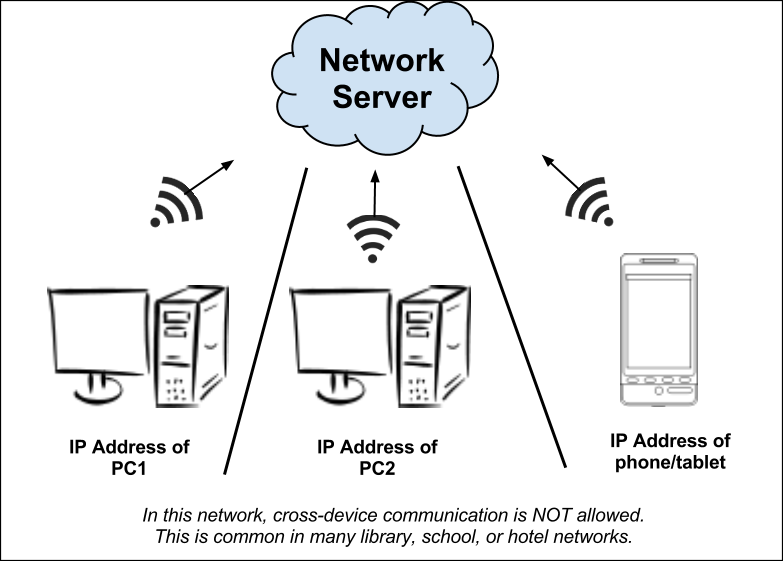 Check that your device is connected to Wifi and not the cell network. On some devices and in some locations, even with WiFi enabled, the phone continues to use the cell network. If this is happening to you, you can disable mobile networking (cell phone carrier based Internet connectivity) from your device&apos;s Android settings menu.